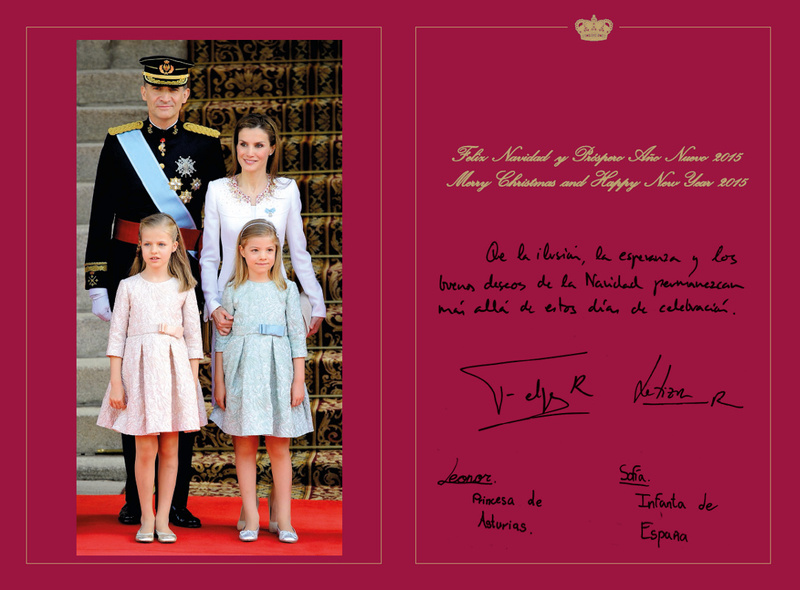 King Felipe and Queen Letizia’s first Holiday cards as Spain’s reigning monarchs highlight this year’s proclamation. 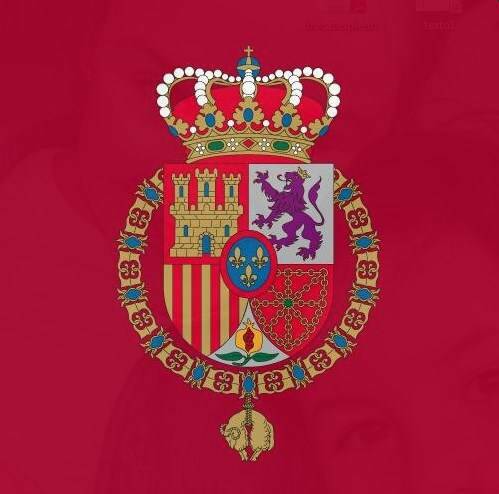 They include a picture of Their Majesties greeting crowds from the Madrid Royal Palace balcony, plus a picture with their daughters — Leonor, Princess of Asturias, and Infanta Sofia. 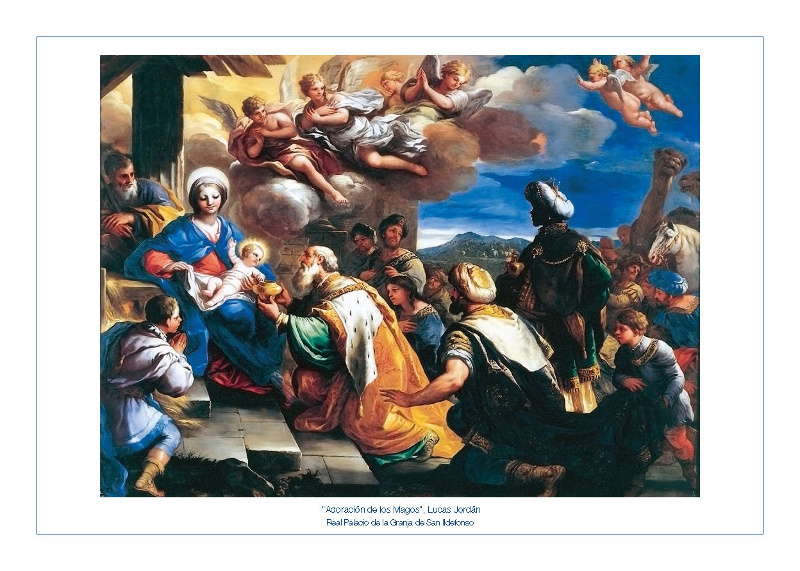 King Juan Carlos and Queen Sofia sent out a card with the image of a religious painting from the Royal Palace of La Granja de San Idelfonso outside Segovia. Previous Royal Family cards have included either family pictures or from museum or Royal collections. 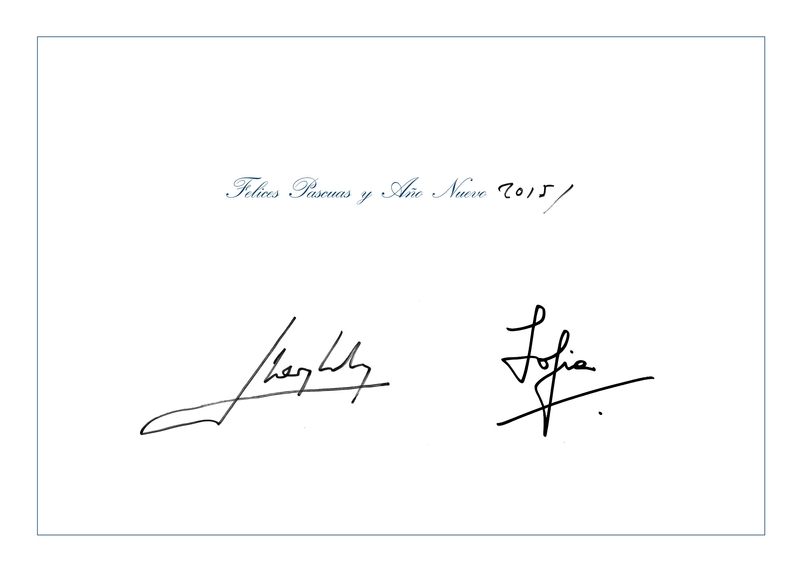 Note that King Juan Carlos and Queen Sofia did not use the “R” after their name, as they did when they were reigning monarchs.